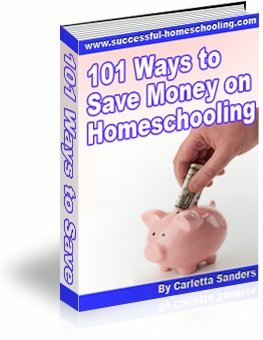 How do you homeschool when you're never at home? Carschooling! Diane Flynn Keith coined the term in her 2002 book about learning on the road. What better way to take advantage of a captive audience! By homeschooling on the go, busy families can keep up with their schedules of field trips, support group meetings, sports and other activities, without neglecting their studies. Roadschooling also allows families to travel with spouses who work out of town, take lengthy vacations or even spend months traveling in a recreational vehicle. Audio books a mainstay of homeschool traveling. They not only appeal to auditory learners and improve auditory processing skills, they are a great way to keep kids quiet in the car! Audiobooks are both entertaining and educational. My family loves Usborne's CD packs, which feature lively background music, fun sound effects and an accompanying illustrated book which helps hold the attention of visual learners. We also love storyteller Jim Weiss' audio recordings. Mr. Weiss tells stories in a captivating manner that appeals to children as young as three. Among his history offerings are Susan Wise Bauer's The Story of the World and G.A. Henty's historical fiction. They are a fun way to homeschool history. Memorization - Memorize scripture, states and capitals, names of presidents, important dates, spelling, vocabulary and math facts. You can quiz your children orally, buy pre-recorded CD's or make your own recordings. Music - The car is a great place to expose your children to different types of music. You can also study classical music and composers, and learn hymns and patriotic songs. Books - Your children can read to themselves in the car if motion sickness is not an issue. You can also read aloud to your children or listen to your children practice reading aloud as you wait for scheduled activities or appointments. Geography - Teach your children directional terms such as left and right, and north, south, east and west. Give them a map and let them help you find your destination, or let them draw maps of their own. Storytelling - Take turns telling each other stories from different genres. This is a great way to build imagination and language skills. Foreign Language - Drop the textbooks and workbooks, and listen to foreign language CD's. This will be far more beneficial than 3 years of sitting in a classroom conjugating verbs. Ask me how I know! Games - Many travel games feature alphabet, spelling, numbers and sequencing activities. They also help children learn strategy and visual discrimination. Usborne's 50 Travel Games and Activities features a pack of cards that each contain simple travel game instructions. 100 Things to Do on a Trip is a pack of wipe clean cards containg puzzles, mazes and other fun activites. Seatwork - Give each child a clipboard for completing seatwork during times you are stuck waiting. Bring along sticker books, activity books, mazes and puzzle books for those who have finished their assignments. DVD's - For longer road trips, make use of your travel DVD player to show educational science or history DVD's. These can often be borrowed from your local library. Sight Seeing - While on vacation, schedule trips to museums, cultural events, ethnic neighborhoods, restaurants, national parks and theaters. Read books related to your destination to add to the learning experience. Don't overlook the importance of conversation. Talk to your kids about religion, politics, science, history or whatever happens to be on their minds. It is sometimes helpful to have challenging conversations in the car. Many children open up more readily when they are engaged in other activities or not making eye contact. While carschooling can help you make the most of time spent in the car, take care not to overdo it. Choose one or two simple ideas to implement at a time, and don't feel pressured to schedule every moment. For a specific carschooling curriculum, visit Diane Flynn Keith's website, Carschooling. For information about homeschooling in an RV, visit Families on the Road.